Yes, you read that correctly. Drunk Monkeys. Green vervets, to be precise. St. Kitts has an alcohol problem. Its green vervet monkey population has taken a liking to the odd strong drink or two, to the point where the fermenting sugar cane of the rum-producing island isn’t as desirable to them as that brightly colored cocktail sitting alluringly right next to you. Now so commonplace, a controversial research project, which involved giving alcohol to 1,000 of the green vervets, found that the animals fall into four main categories, that of a binge drinker, steady drinker, social drinker, and teetotaller. Rather like us, humans, wouldn’t you agree? Firstly, it is exceptionally important to remember that we are all made differently – different genetics, different social history, different metabolisms, men vs. women, age, natural level of tolerance, and so on. Depending upon your level of alcohol consumption, it would be pertinent to see the advice of your medical practitioner before undertaking your detox. You may not know it, but an alcoholic, even a very heavy drinker, is at risk of fatal consequences without a medically-supervised professional alcohol detox. For the clarity of this article, the following groups are used – mild, moderate, and severe. However, your level of alcohol intake will normally decide how strong your symptoms will be when they’ll begin, and how long they will last. Symptoms usually begin within around six hours of stopping drinking and will often develop while patients still have alcohol in their system. Such symptoms usually resolve themselves within 48 hours and certainly lasting no more 4-7 days. Mild over-the-counter medication can be taken to ease these symptoms, as well as ensuring adequate hydration and a nutritious diet is followed. All the factors listed above (genetics, metabolism, etc.) regarding how unique we all are when it comes to alcohol and other addictive substances applies here. Many people will be able to manage these stronger withdrawal symptoms: however, others may not manage them well at all, so that suggested appointment with your medical practitioner is the first step you need to take. It is far better to ensure your own safety by opting for a professional alcohol detox within a medical environment. Seizures: Withdrawal-associated seizures are convulsions that usually occur within 12 to 48 hours after the last alcoholic drink. The seizures occur mainly in patients with a history of alcoholism, at around 40-50 years of age. Delirium tremens (DTs): Around 5% of patients who undergo withdrawal from alcohol suffer from DTs. DTs can cause hallucinations, disorientation, tachycardia, hypertension, and even hyperthermia. DTs usually begin between 48 and 96 hours after the last drink and can last 1-5 days. Three words. Professional medical detox. Three more words. Without a doubt. 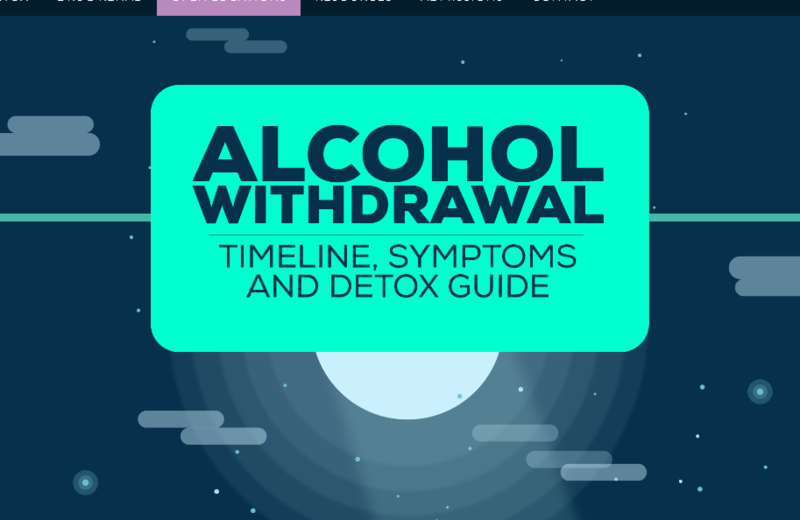 Anyone whose alcohol consumption is very high to the point where they are abusing alcohol needs such a detox, as the withdrawal symptoms listed above will be severe in nature and their likelihood much increased. To attempt to manage these symptoms alone or at home is foolhardy and very dangerous. Mentally, physically, and spiritually, alcohol withdrawal can be very challenging. Therefore, if you are in any doubt, you should seek the help and advice of a medical practitioner or an addiction specialist at a certified treatment center. For those abusing alcohol, alcohol withdrawal can be a difficult and challenging first step to sobriety and, remember, your health and safety are of utmost importance, are they not? Certainly, not to be monkeyed around with. Are you concerned about your level of alcohol consumption? Do you experience any of these symptoms during the day? If so, please share your comments with us below. Alcohol abuse and addiction mean a long, hard road to recovery, but millions upon millions have done it, and you can too.